*Organic Is the way to go! 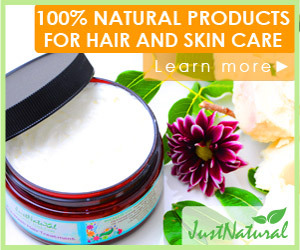 Visit Now and learn more about the benefits of Natural Ingredients for Skincare and Haircare! We use the Hair Loss Shampoo and the Dandruff Shampoo, the vitamin leave-in treatment and the make-up remover. At first glance these products seem to be a bit pricey, but let me tell you – it’s been our experience that a “little bit goes a long way” with these products. The scents of everything we’ve used so far are soothing and wonderful… no medicinal or strong smells. I encourage you to try these Made In America products today!